A Stopped Clock was commissioned by the Yale Center for British Art for its Bloomsbury exhibit as part of the 2000 International Festival of Arts and Ideas. Nearly as eccentric as Parisian Erik Satie (though much more endearing), Ethel Smyth was a protean figure. Composer, suffragette, conductor, memoirist (six volumes), Ethel left her comfortable upper-class life in England at age 19 to study with Johannes Brahms in Germany. While there she befriended Tchaikovsky, Grieg, Clara Schumann—all the while composing six operas and considerable chamber and choral work. Extraordinarily frank about her affection for women, she had passionate relationships with several prominent women including her last great infatuation, Virginia Woolf. 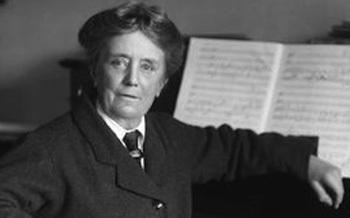 Friendships with English royalty, creator of the English suffragette anthem, the first woman to conduct many of the major orchestras in Europe, and the first to have her operas staged: Dame Ethel Smyth died in her own words “standing up” at age 86. 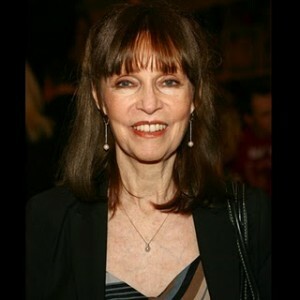 While reading her Memoirs and then writing the script, I kept thinking of Woody Allen’s movie Zelig. Zelig had the chameleon-like ability of adapting to all situations and insinuating himself with the famous or infamous including Al Capone, Charlie Chaplin, and cameos with Goebbels and Hitler. Dame Ethel did it without trick videography and as she claimed, the famous have very attuned antennae to those who want something; but when comity is sincerely offered even the mightiest most often reciprocate.